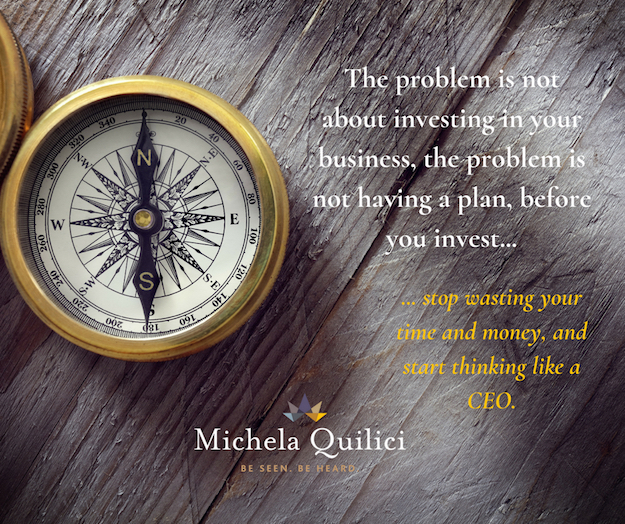 The problem is not about investing in your business, the problem is not having a *plan*, before you invest, so that you can make informed and wise decisions about what to invest in, what to do in what order, how to prioritize, and how to get the best return on your investment. 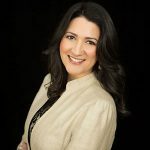 A client came to me totally frustrated because she spent thousands of dollars investing in lots of different marketing activities: videos, email marketing, sales funnels, Facebook ads, writing a book, etc. As a result, nothing seemed to be working to bring her more leads and make her more money. If you build a house, you wouldn’t buy furniture or carpeting before you develop the blueprints and know what will be required. It’s the same in business. Stop wasting your time and money. Start thinking like a CEO.